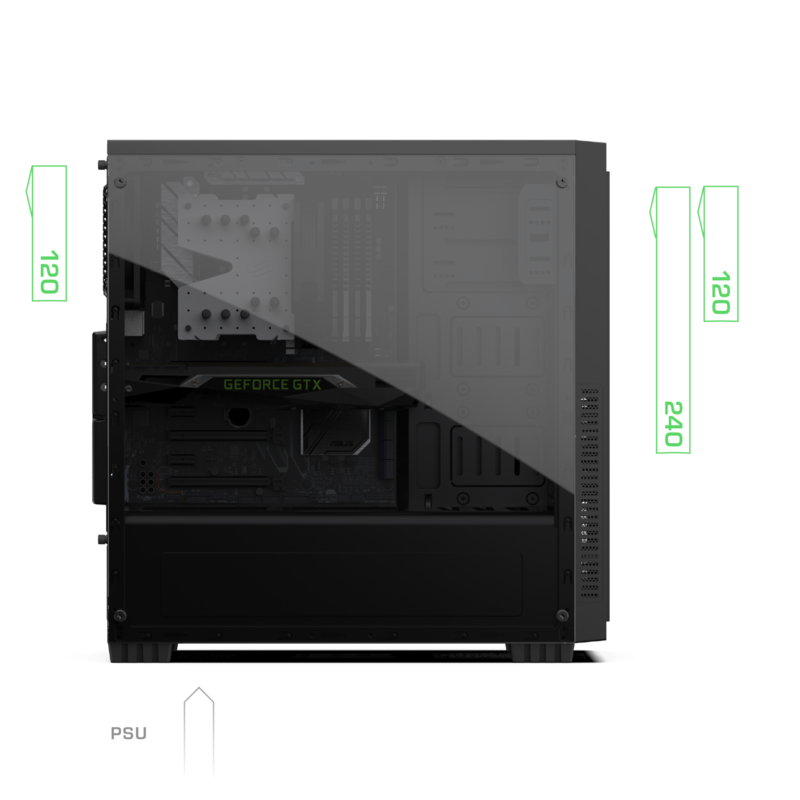 Admire the insides of your system through the large tempered-glass side panel. 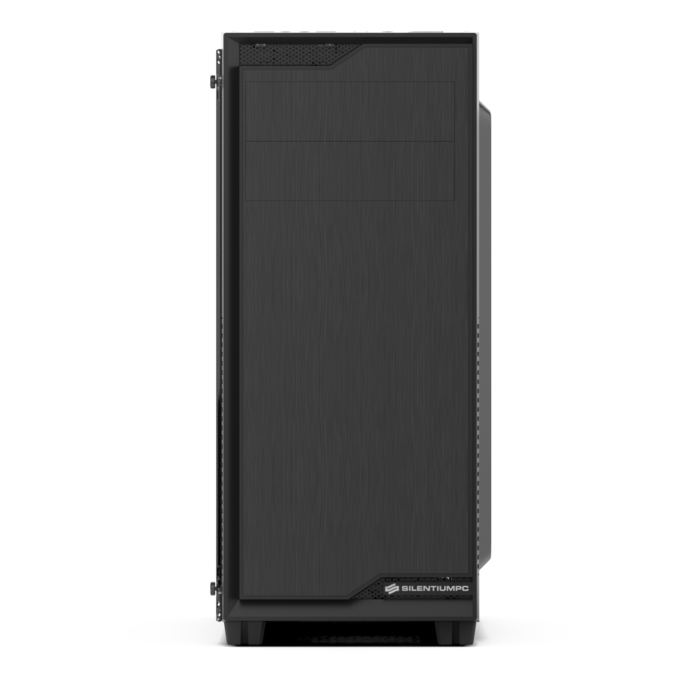 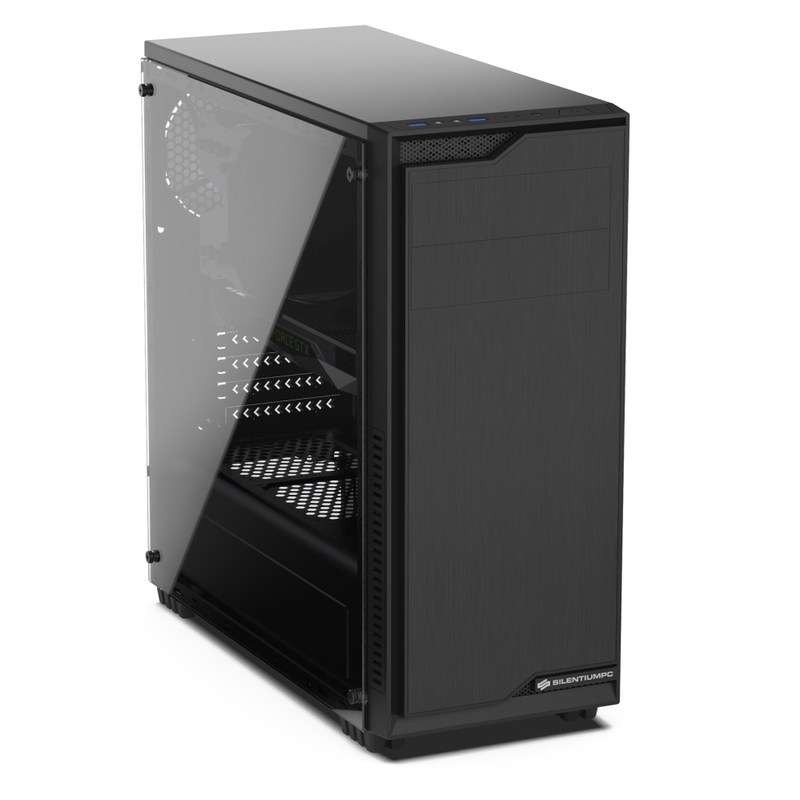 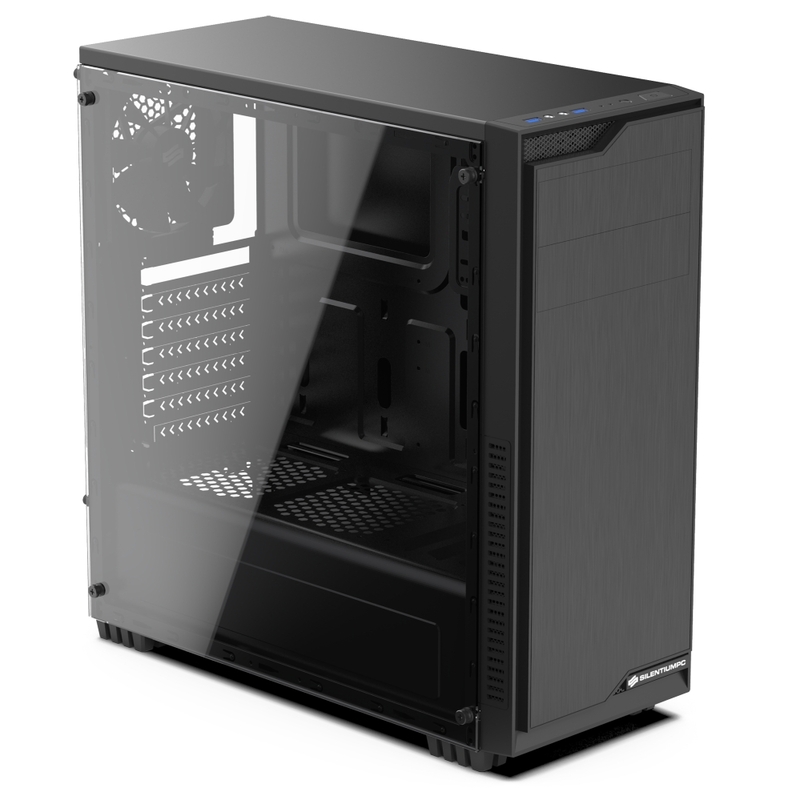 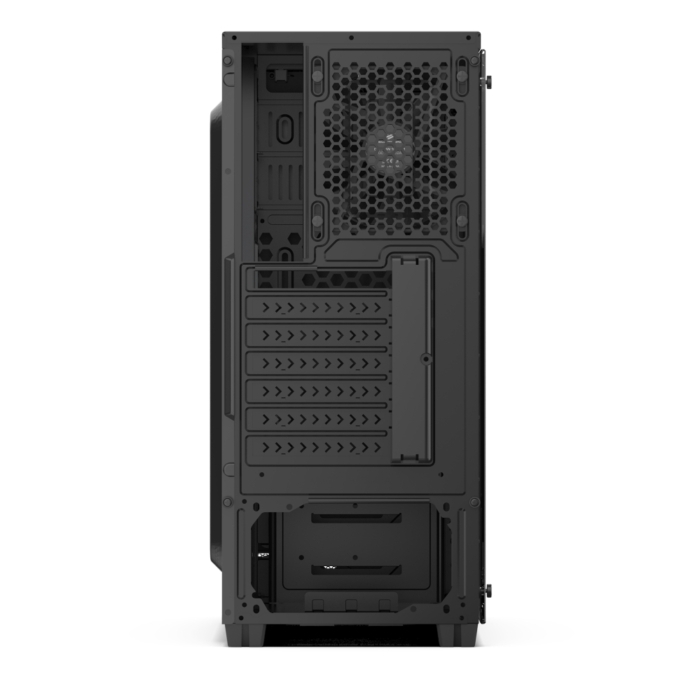 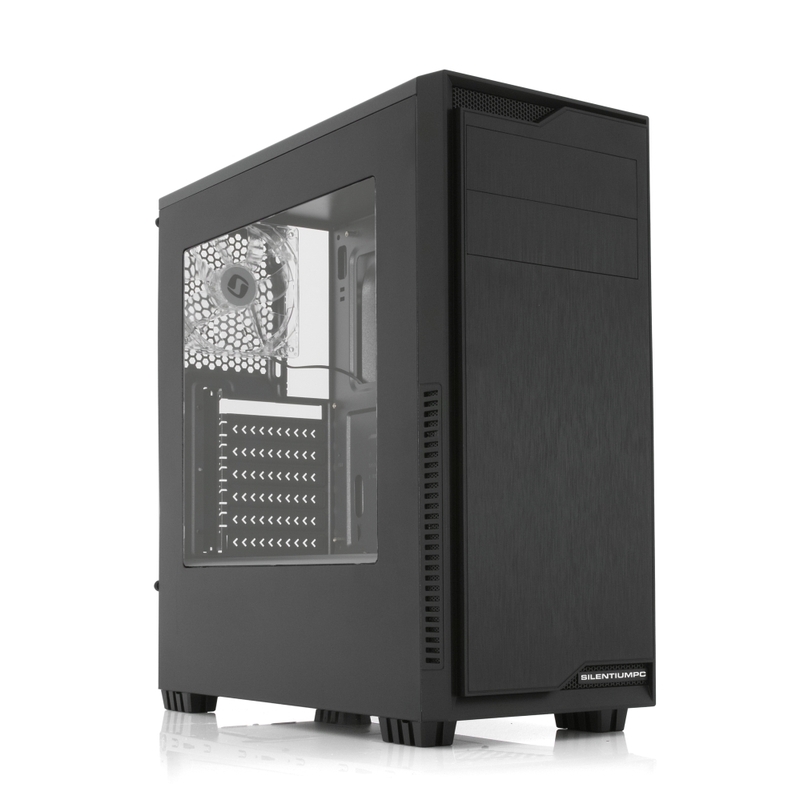 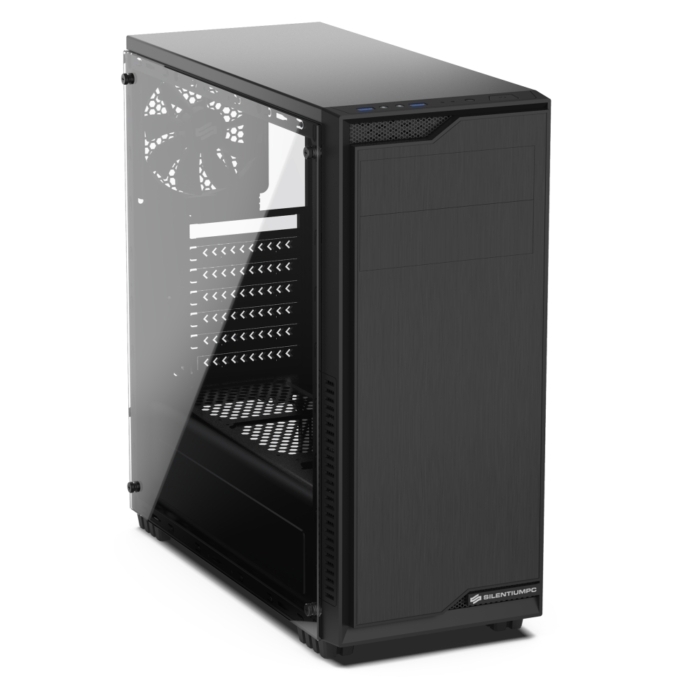 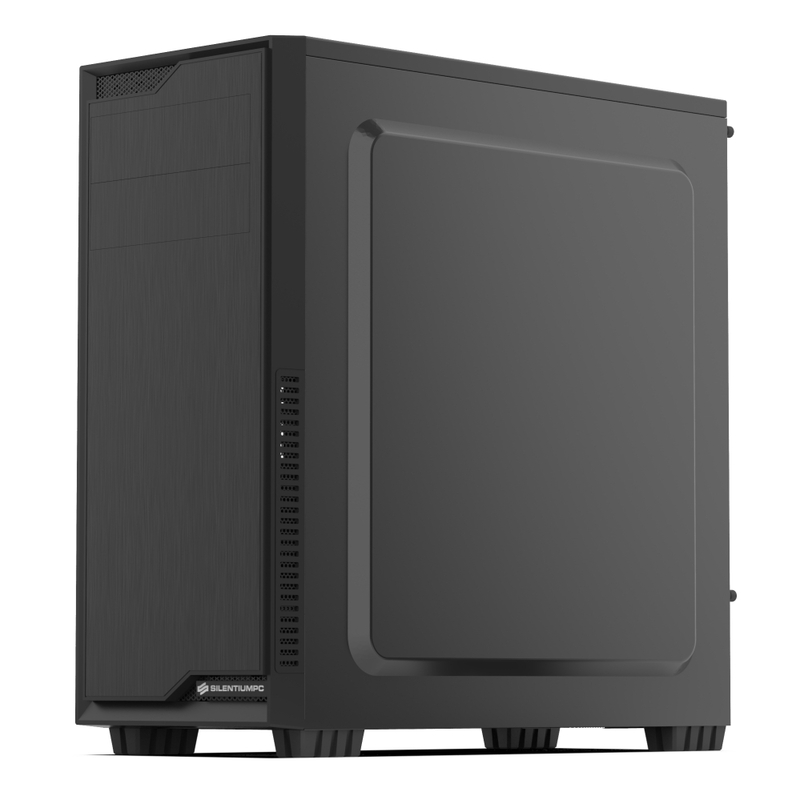 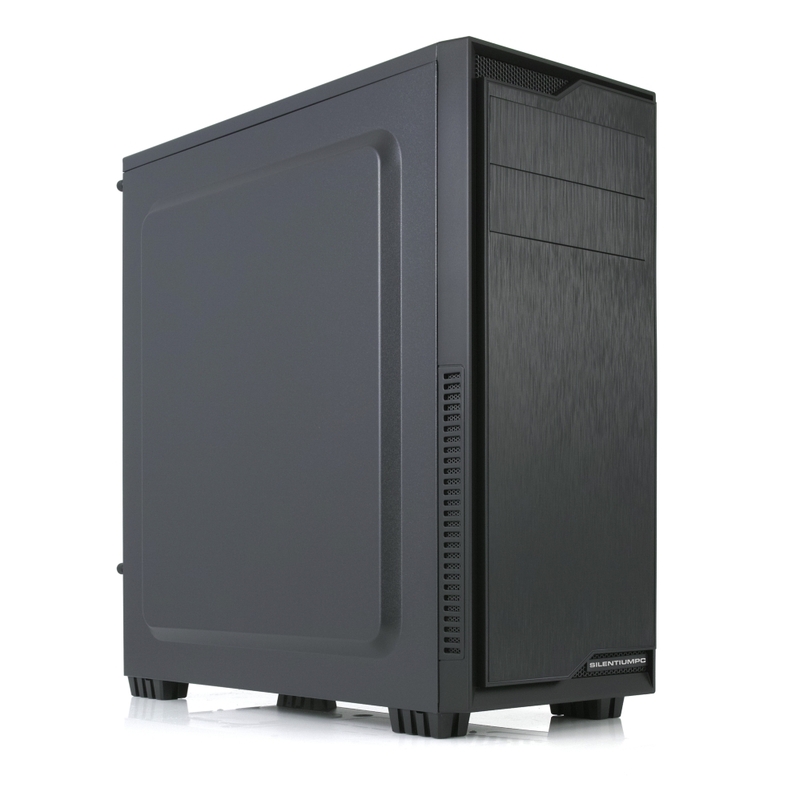 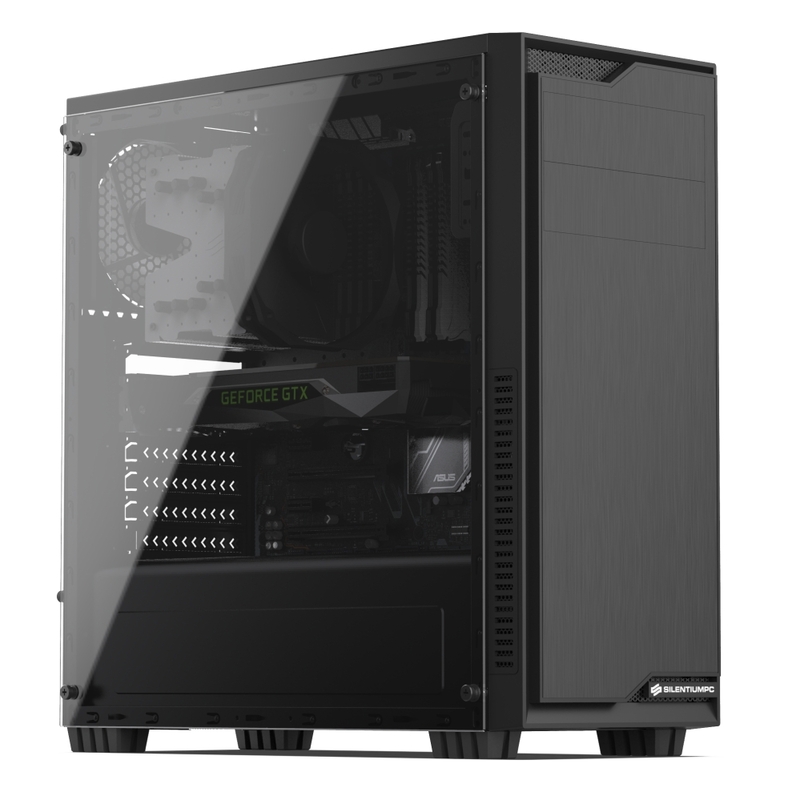 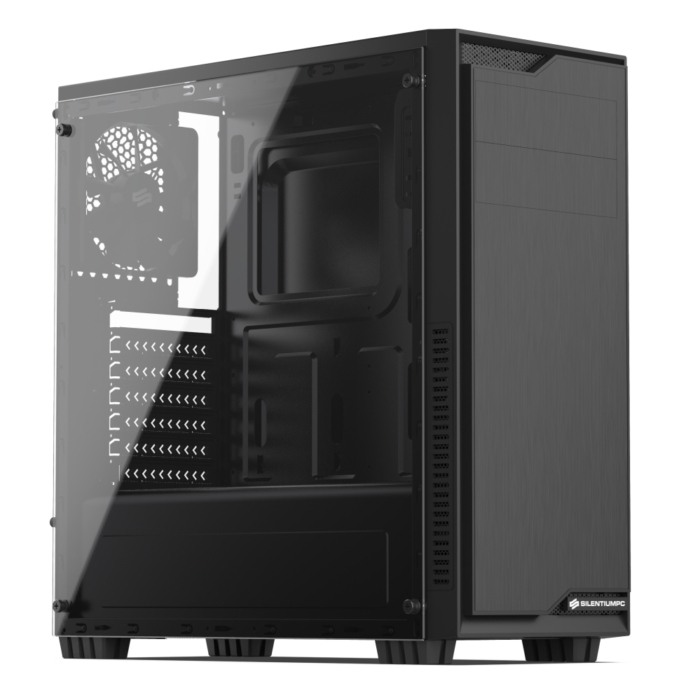 One of SilentiumPC all-time favorite cases now available as tempered-glass variant, Regnum RG1 TG. 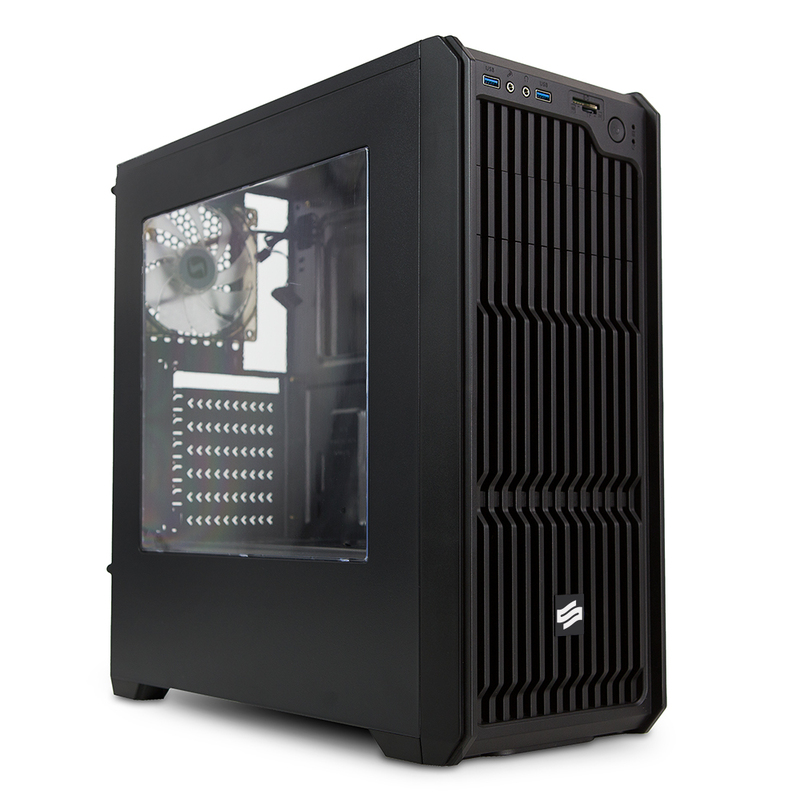 The new side panel blends seamlessly with understated exterior design for an elegant yet modern gaming case. 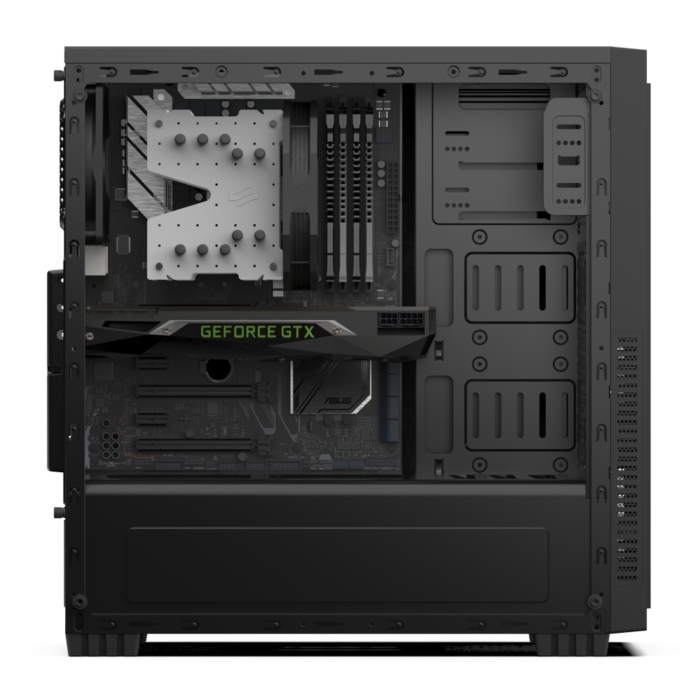 RG1 is a dream come true for value-oriented buyers as it combines praised features with high-quality at an entry-level price point. 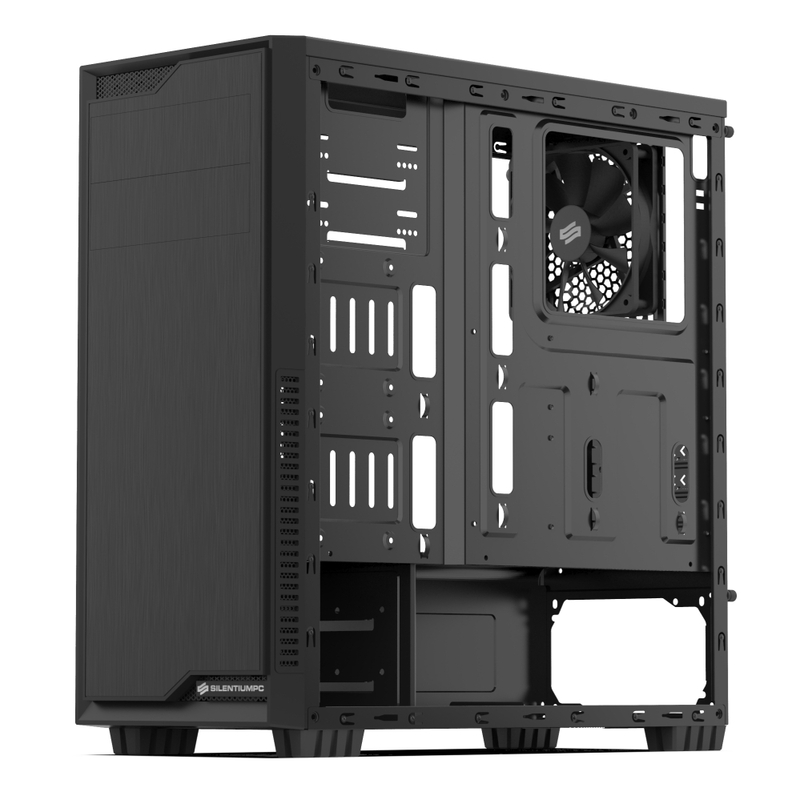 Regnum RG1 TG surprisingly roomy interior features a dual-chamber internal layout which dramatically improves both airflow and cable management. 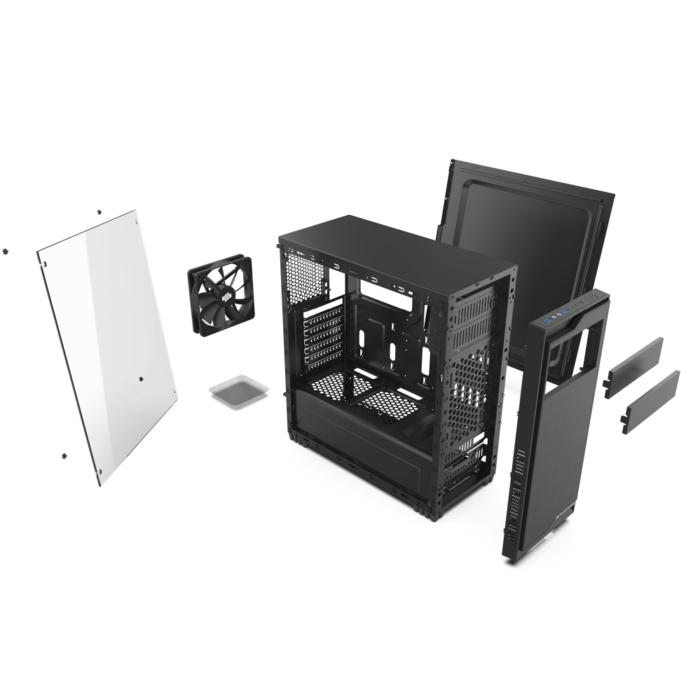 Being compatible with ATX motherboards, long power supplies, graphics cards up to 380mm and CPU coolers up to 160mm it allows for flexible choice of components. 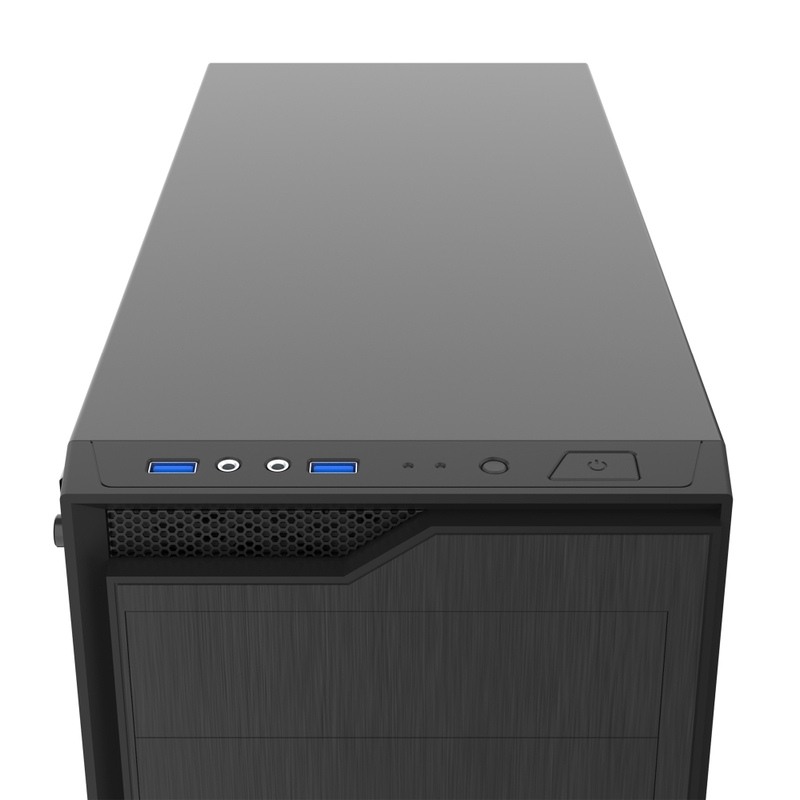 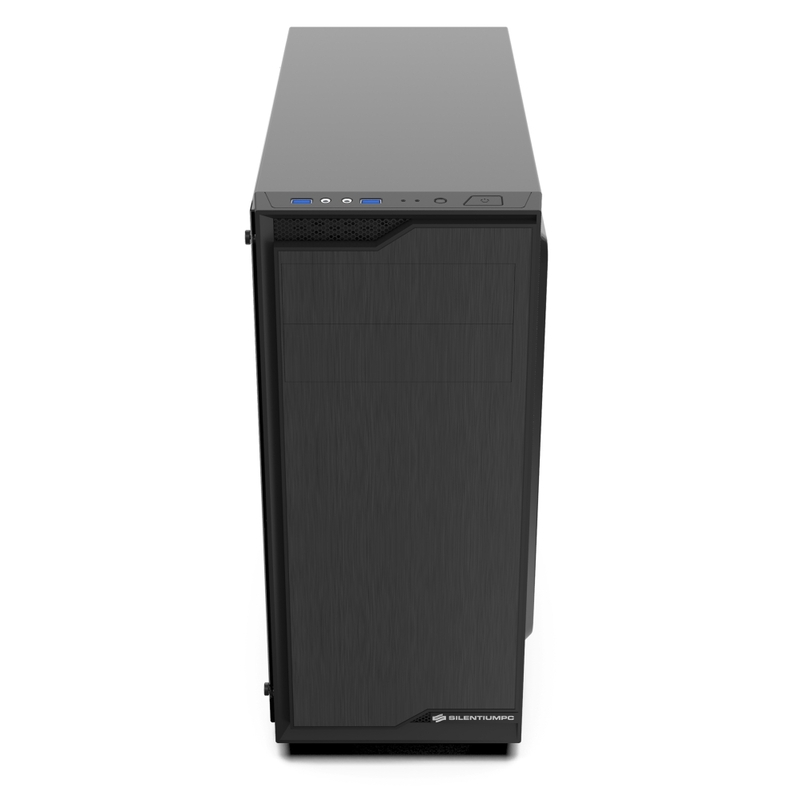 Also available are two external 5,25” drive bays as well as two 3,5 and two 2,5” internal drive bays for desired HDD/SDD configurations. 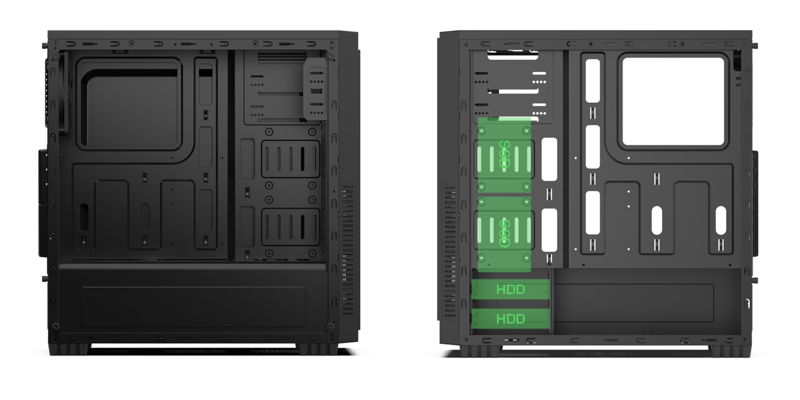 Two USB ports on the top panel for convenient access. 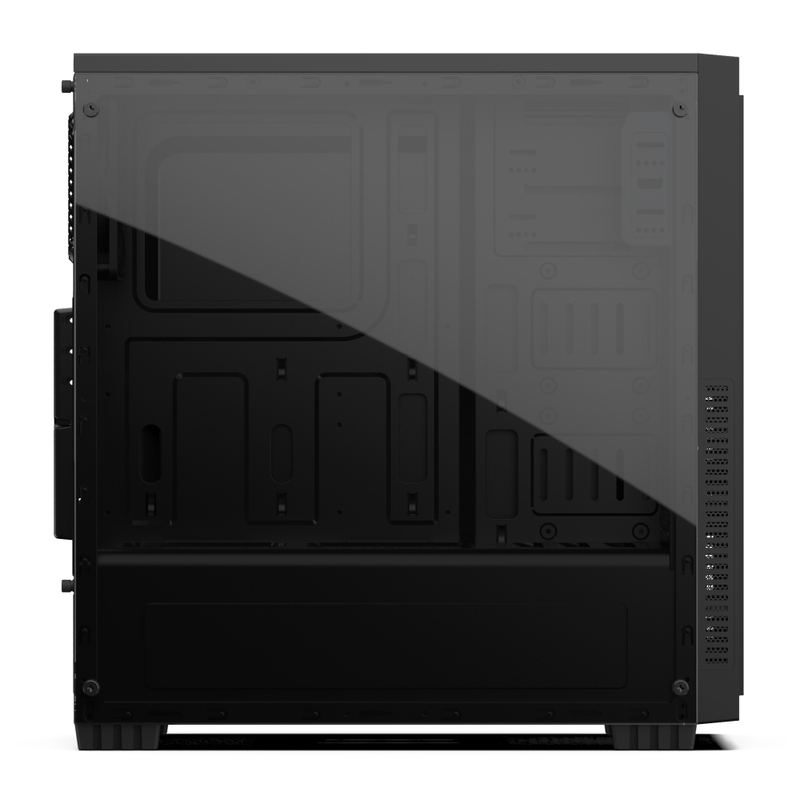 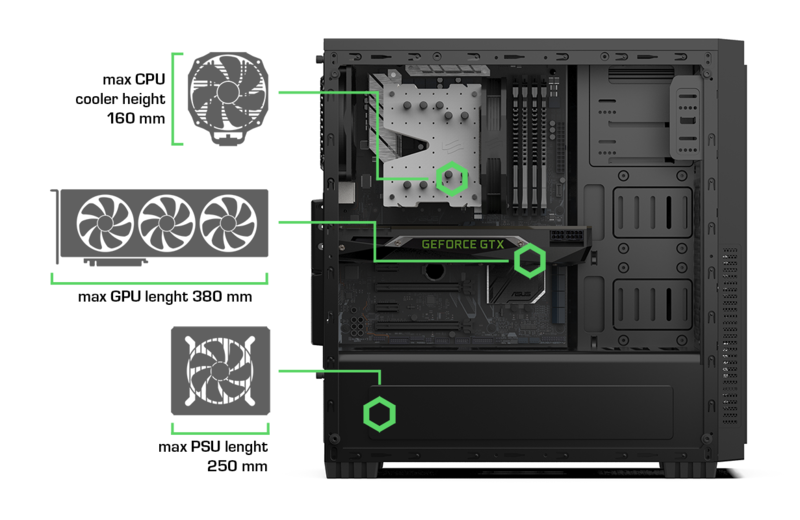 Discreet yet effective side vents at the front panel allows for optimal airflow. 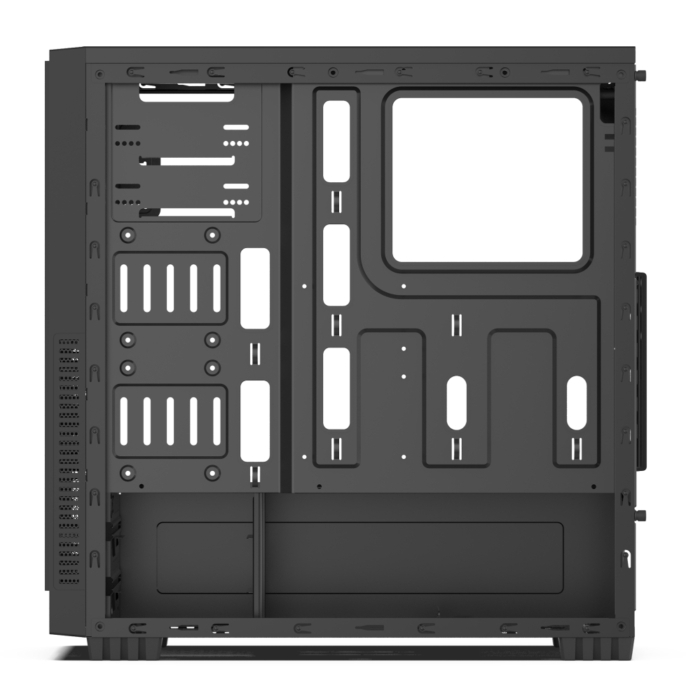 Numerous pass-through openings and cable tie points aid cable arrangement for neatness and unobstructed airflow. 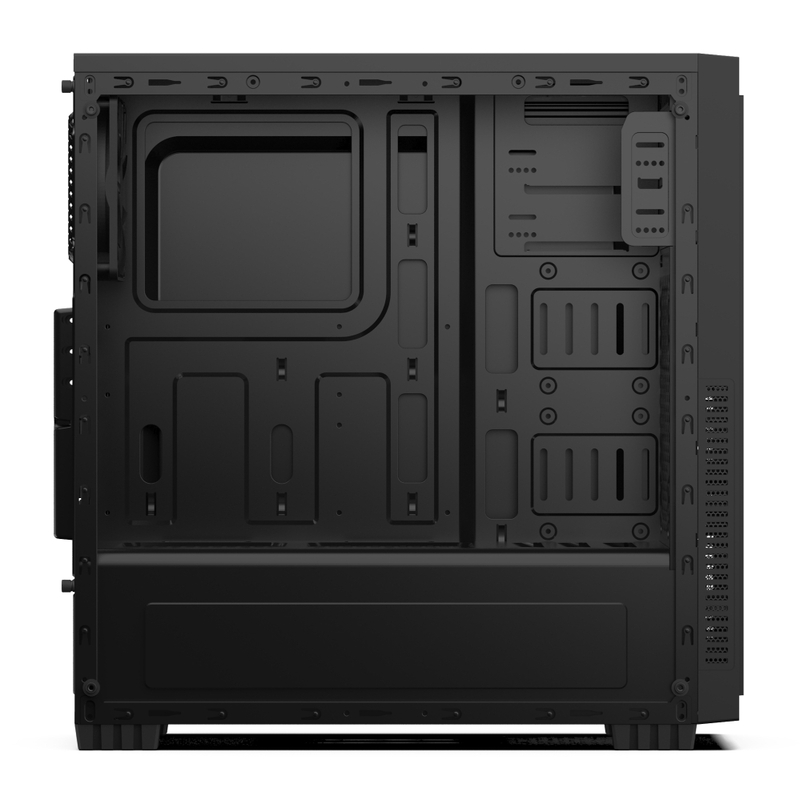 The interior is divided into two thermally independent chambers for more effective cooling. 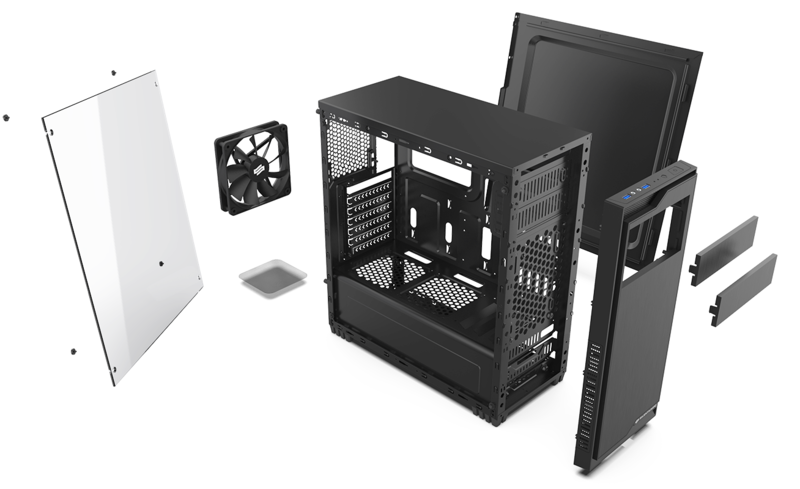 Bottom one for PSU and HDD, the other for the rest of the components. Front and bottom mounted dust filters keep the RG1 TG interior dust-free. 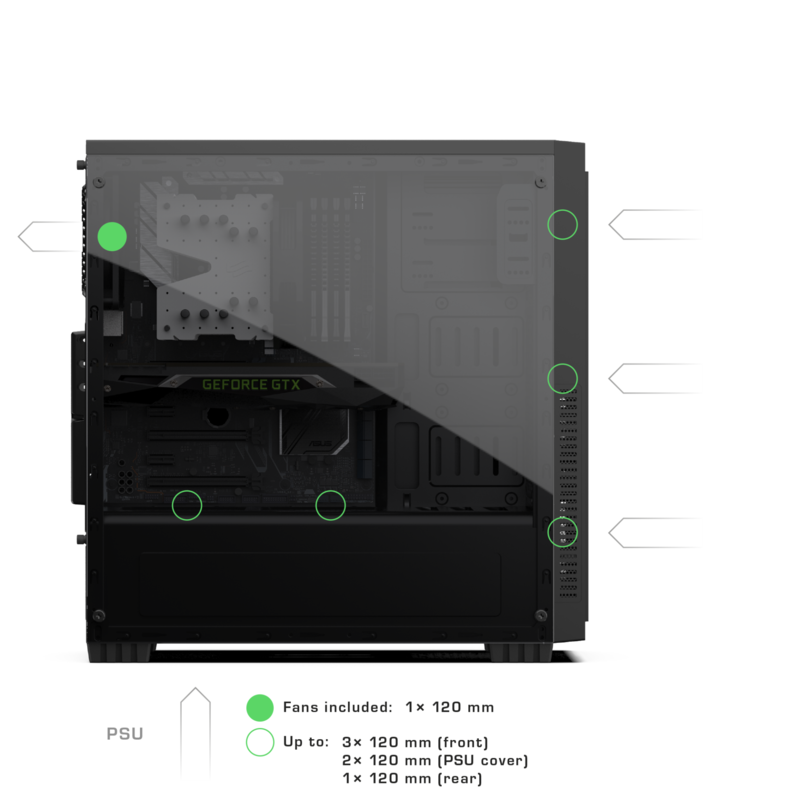 Support for 120/240 all-in-one liquid coolers.